I may not say it enough, but I really enjoy working with you. Although we may not have met in person, if we’ve spent any time working on your project, odds are good I consider you a friend. That means I want only the best for you. I want your project to be successful, whether it’s a book, a high-profile magazine article, guest blog post, speech, or something else. I want you to attract a lot of positive attention, generate new business or media opportunities, and to make good money from our work together. I’m here to lift you up and support you in achieving your goals. So since you hired me for my writing skill, expertise, and experience, I hope you’ll accept the following advice in the spirit in which it’s given – to make you more successful. Stick with the tried-and-true approach. I understand that you want to make your work stand out or make a splash in your industry, but opting to do go against conventional wisdom is risky. I’m talking about decisions like what color font to use for your blog post – always black, not red or green or purple – or selecting a title that is a double entendre, when your book is a business guide. In both cases you’re likely to attract attention, but not the kind you want. Don’t cut corners. Hiring an interior page graphic designer from a low-budget site like Fiverr, who is charging you $10 to lay out your whole book, is unwise. Sure, you’ll pay the designer very little but it’s also likely that you’ll have to pay someone else even more to make it right later. And I’m not knocking Fiverr – I love it! It’s just not the first place I’d turn for services related to an important project. Some of my ghostwriter colleagues have similar advice, based on their experiences with clients. Keep the medium in mind when writing. Thousands of words on a topic is great for a book but less appropriate for a blog post, which is exactly what Debby Kevin explained to her client. Unfortunately, the client insisted on throwing everything but the kitchen sink in and made the post less readable. Serve your audience. 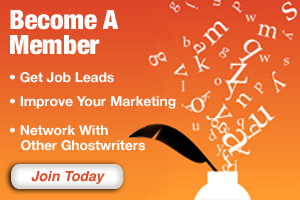 You know your audience – certainly better than your ghostwriter – so you’ll want to be sure to write in a way that will help them make the best use of your material. Richard Lowe Jr. tried to help his client by recommending that he tone down the technical jargon in his book. Unfortunately, the expert “insisted on going down to very detailed technical descriptions in a book intended for CEOs and other c-level managers. It made the book a little schizophrenic as he switched back and forth between detailed technical talk and manager talk,” says Lowe. Listen to the experts you’ve hired. When you hire an advisor to assist you in marketing your business, promoting your book, or crafting a new logo, listen to their recommendations. You paid them because you believed that they knew more than you did, right? So get the most from your money by following their advice. I know it’s tempting to solicit advice from a wide variety of sources when you’re working hard on an important initiative, like a book or big article. You want to do all you can to increase your odds of success. I get it. Just know that I’m on your side, too. Subscribe here to be alerted to new blog posts. 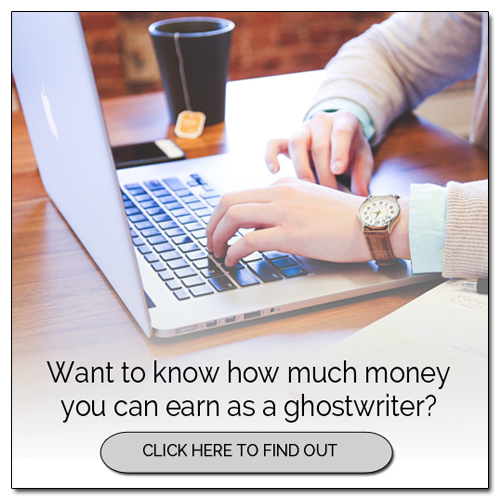 How Often Should You Follow Up with Potential Ghostwriting Clients? 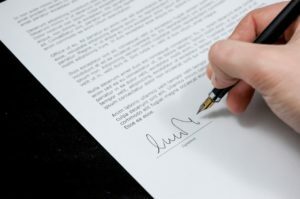 This is a great article (letter to a ghostwriting client)! I probably related to it so strongly because many of the points you covered are exactly what I tell my clients. They are so basic to us but not so to new authors, so they have to be repeated over and over again. Is it OK to steal this letter—giving you full credit, of course—to share with future ghostwriting clients? Well said, Marcia. I’ve been through a couple of the points you brought up. I think of the adage: You can lead a horse to water but you can’t make him drink.